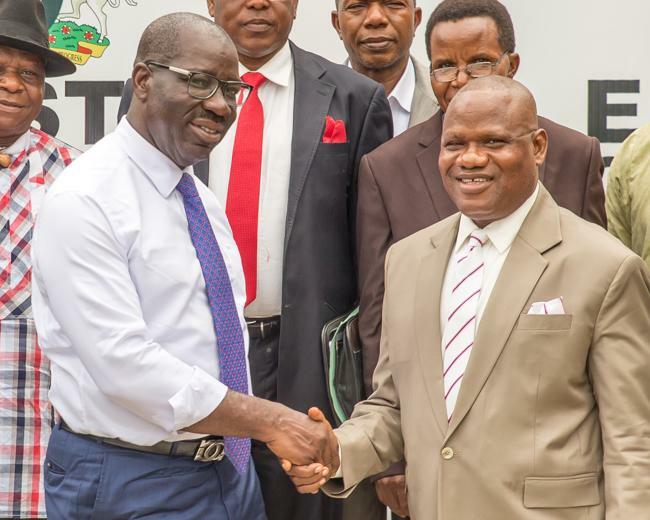 Edo State Governor, Mr. Godwin Obaseki has declared his administration’s readiness to reposition the state at the vanguard of rubber production and processing in order to increase foreign exchange earnings. This was as he received the management of the Rubber Research Institute of Nigeria (RRIN) at the Edo State Government House in Benin on Monday, where he noted that rubber was a major source of foreign earnings for the country before the advent of crude oil, and that investment in rubber would be worthwhile investment because it was a global commodity. Revealing that his administration would create a master plan for rubber production, he said: “We want to know the locations and soil types where rubber can do well in the state. We want to agree on how much land we should make available for rubber cultivation, the quantity of yield to expect and to know the key investors”. Governor Obaseki continued that the state government would not be directly involved in rubber production but would give the needed support to boost and sustain rubber production in the state. “We will support local farmers and investors to grow rubber. We need to understand the value chain and the stakeholders in the rubber cluster to make Edo a key rubber producing region on the continent. These were the crops that helped the state to generate foreign earnings before the advent of Crude but Crude Oil made us to forget rubber”. The governor also disclosed that the state would adopt an MoU with the institute to allow for inter change of human capacity, while requesting a round table meeting to put about 100,000 hectares of land for rubber plantation in Edo in the next 5 years. Earlier, the Acting Executive Director of the institute, Dr. Airguamen Aigbodion said the institute had developed rubber clones, which were believed to be some of the highest yielding clones in the world capable of yielding 2,500kg. Aigbodion said that the Institute was involved in provision of technical assistance in all aspects of rubber production to farmers and capacity building for youth and women group involved in rubber production. He added that the state government could collaborate with the institution in rubber nursery development and budding operation to enhance production of certified planting materials for plantation establishment.